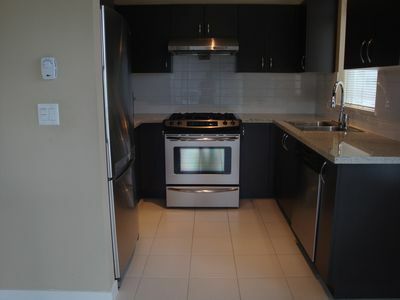 Meridian Gate - Gorgeous 3 bedroom, 2 bath with 9 foot ceilings, spacious 1200 sq.ft., with patio. Beautiful kitchen features stainless steel appliances, in-suite laundry, gas range, stove, and granite countertop with spacious Nook area. World class amenities include fitness room, media room, pool table, outdoor lounge, children play area, large outdoor swimming pool and hot tub. 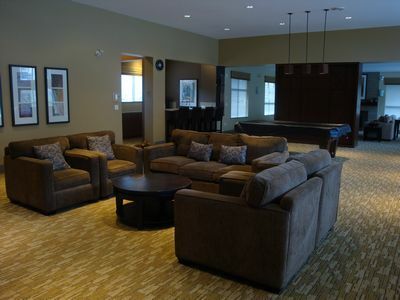 The 7,000 square feet private clubhouse is a great place for gathering with friends and family. Centrally and quietly located in a friendly neighbourhood. Walking distance to public transit. Steps away from supermarket, Lansdowne Mall, Aberdeen Center, restaurant, Kwantlen University College and Tomsett Elementary School. 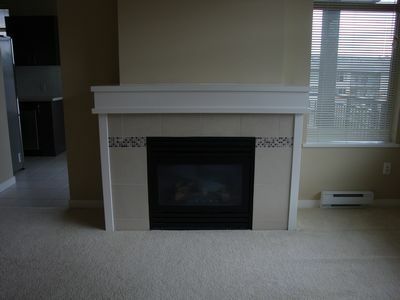 Easy access to Vancouver International Airport and Oak Street Bridge. Available immediately for $ 2100/m. 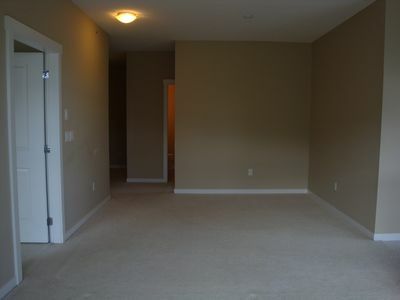 Rent includes 2 parking stalls in a gated parkade. No smoking, no pets. 1 year lease is required. 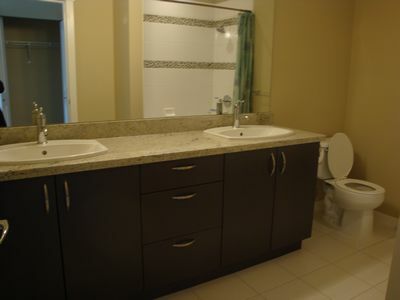 Include: , 2 x Garage parking, Carpet floor.